In a food processor, grind the flesh into a thick paste. Transfer into a bowl. In a bowl, combine the fish paste, salt, sugar, cornstarch, and water. Alternatively, pound the fish flesh with the back of a knife until it turns to thick paste. Using hands, stir the mixture until well combined and then shape into a big ball. Lift from the bowl and then slap back into the bowl. Repeat for about 10 to 15 minutes or until the fish paste is smooth and shiny and begins to pull away from the side of the bowl. Alternatively, transfer fish paste into the bowl of a stand mixer and using the paddle attachment, beat for about 10 to 15 minutes or until it begins to pull away from the side of the bowl. 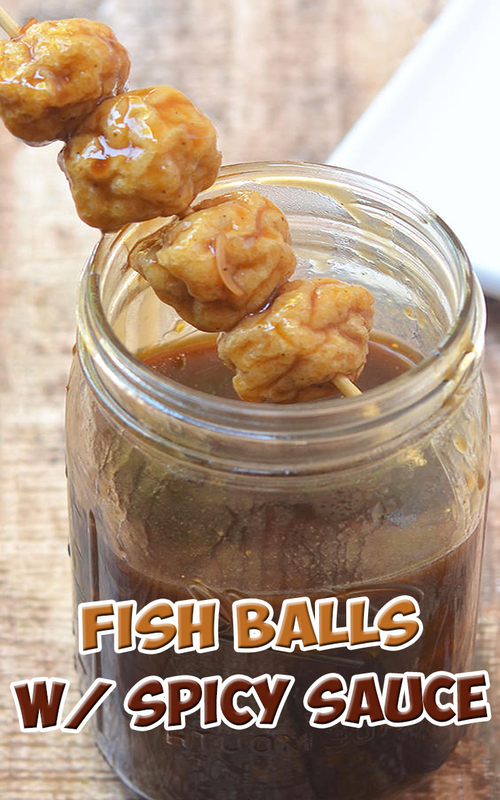 Using a tablespoon, portion the fish paste and shape into balls by rolling between the palm of your hands. In a pot over medium heat, bring about 4 quarts of water to a boil. Gently drop fish balls into boiling water and cook for about 1 to 2 minutes or until they begin to float on top. Using a slotted spoon, remove from the fish balls from water and allow to cool. In a wide pan, heat about 2 inches of oil. Add fish balls and cook, stirring occasionally, until golden and puffed. Remove from heat and drain on paper towels. Serve with the sweet and spicy fish ball sauce. In a saucepot, combine water, soy sauce, garlic, shallots, chili pepper, brown sugar, flour, cornstarch, salt, and pepper. Stir well until well blended and smooth. Bring to a boil, stirring regularly, for about 3 to 5 minute or until thickened. The sauce will thicken more as it cools.